We’ve returned from an epic road trip in Ireland and Northern Ireland and have many photos and stories to share over the coming weeks. 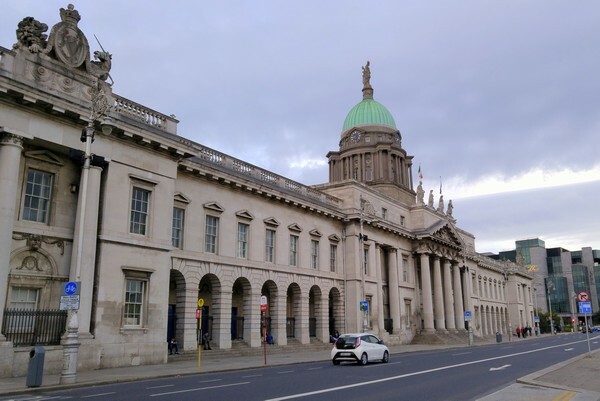 Our trip began and ended in Dublin, the capital and largest city of Ireland, so we thought that sharing a few photos from our time in Dublin would be a great place to start. 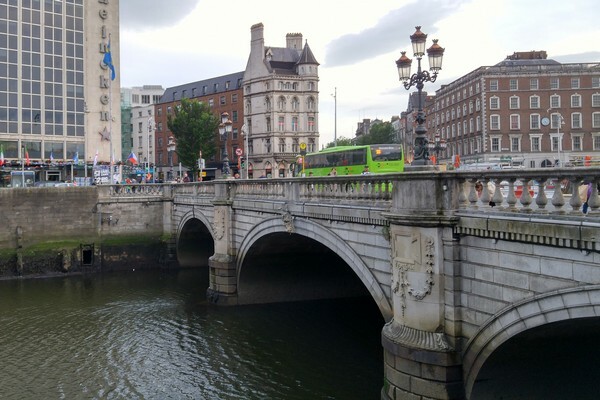 We spent 3 days in Dublin, but 1 of those days was spent battling a severe case of jet lag. Our boys did awesome on the 9 hour flight, but the 8 hour time difference between Vancouver and Dublin was quite challenging for them. And us. They were wide awake at 3:00 AM and had a tough time adjusting to Ireland time. Jet lag is not easy on the little ones. It took them 3 days to reset their internal clocks. 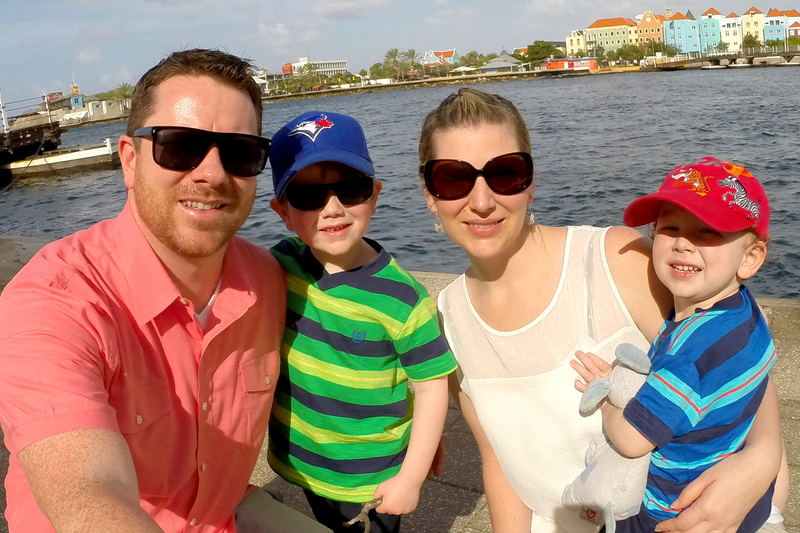 Whenever we travel overseas with our boys we like to give ourselves a buffer day to relax and acclimate to our new environment. Dublin was no different. We didn’t have anything planned for our first day and a half. We arrived at 9:00 AM, which was really 1:00 AM Vancouver time, so we spent most of the first day hanging out in our apartment watching movies and taking long baths. It was the right call. We spent the following two days wandering around the city on foot. 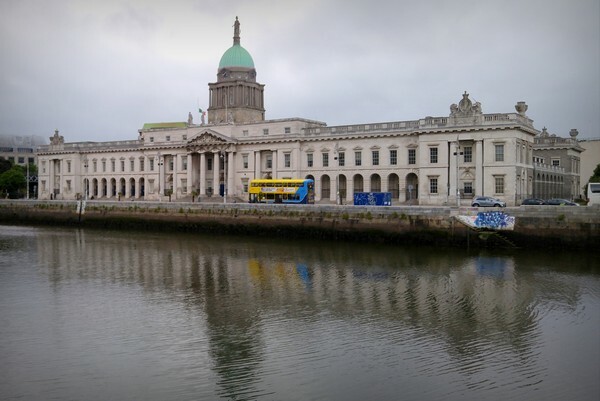 We rented a 2 bedroom apartment in the financial district, two blocks from the River Liffey. 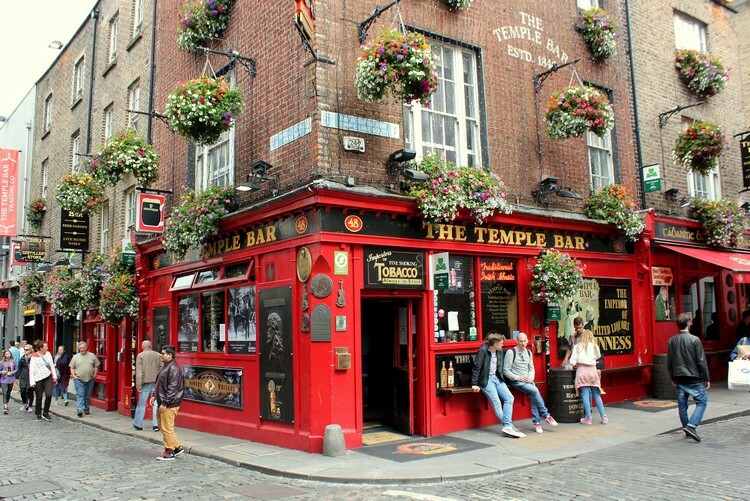 It was a decent location, about 20-30 minutes walk to the popular Temple Bar area. Fortunately, kids are allowed in the pubs in Ireland, so we reset their sleep schedules so that bedtime was around 9:30 PM and wake up time was around 8:30 AM. This allowed us to consume an appropriate amount of Guinness each evening while also giving us a reasonable wake up time. 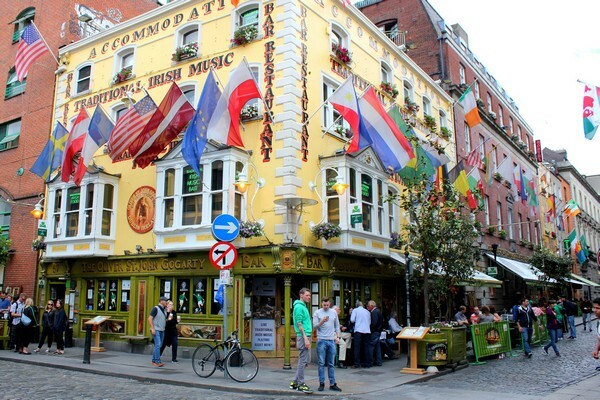 If you’re planning to visit Dublin, here’s a link to find the best Dublin hotel deals. 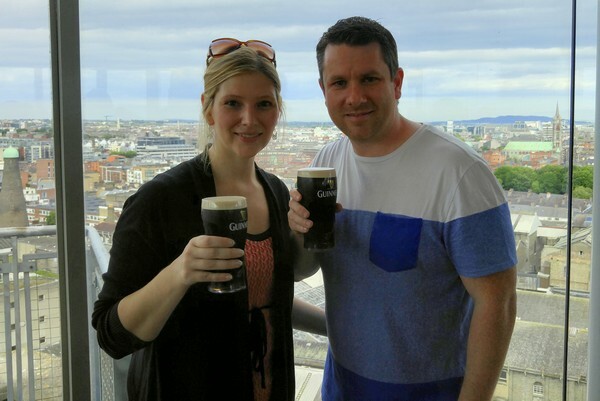 Below are photos from our trip to Dublin. 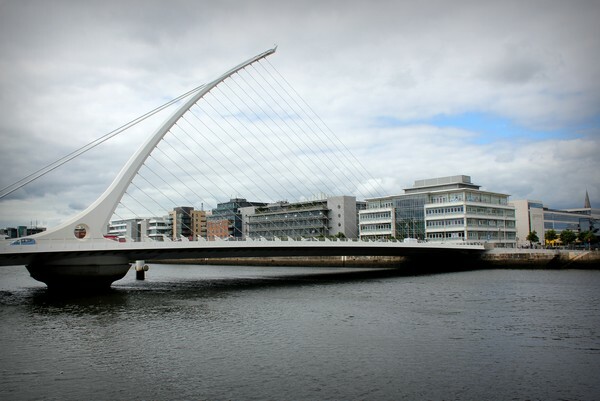 Samuel Beckett Bridge crossing the River Liffey. 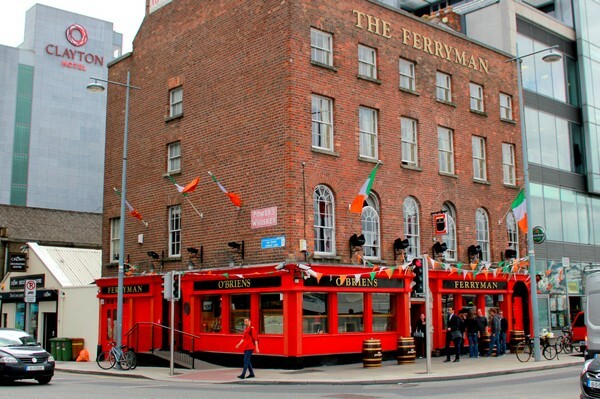 Colourful pub in the popular Temple Bar district. 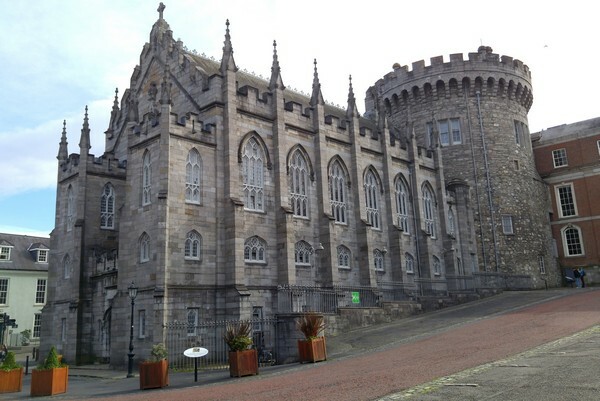 The Record Tower and Chapel Royal at Dublin Castle. 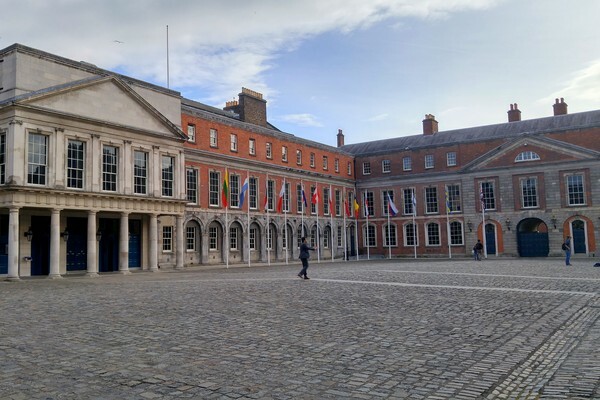 Inside the grounds at Dublin Castle. 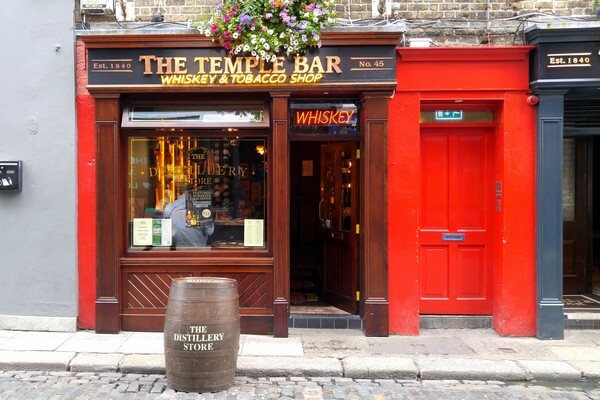 The Temple Bar whiskey and tobacco shop. 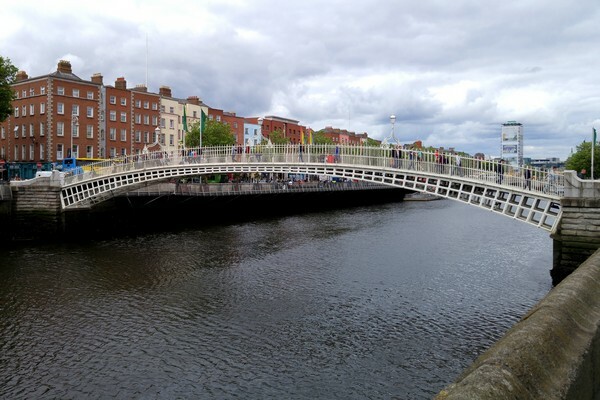 The elegant Ha’penny Bridge, built in 1816. 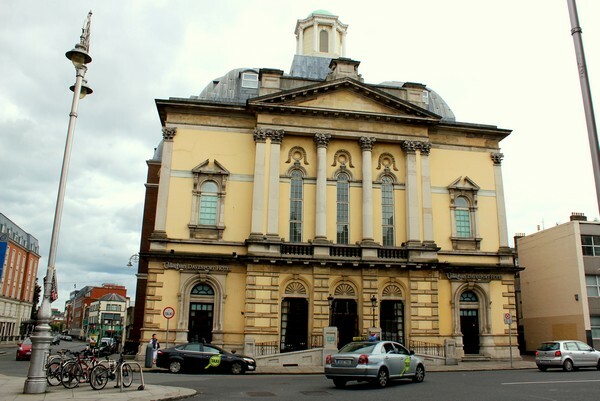 The Custom House, a neoclassical 18th-century building located on the River Liffey. St. Andrews Church on Suffolk Street. 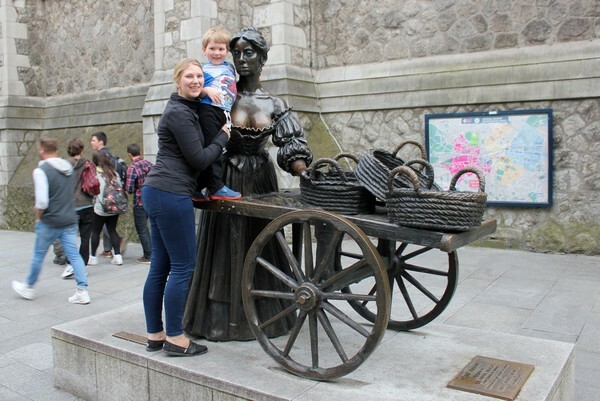 The infamous Molly Malone Statue on Suffolk Street. The exquisite O’Callaghan Davenport Hotel. 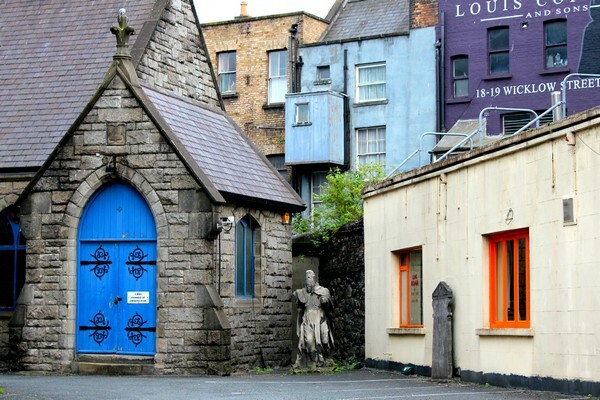 Beautiful stone and brick architecture on the streets of Dublin. 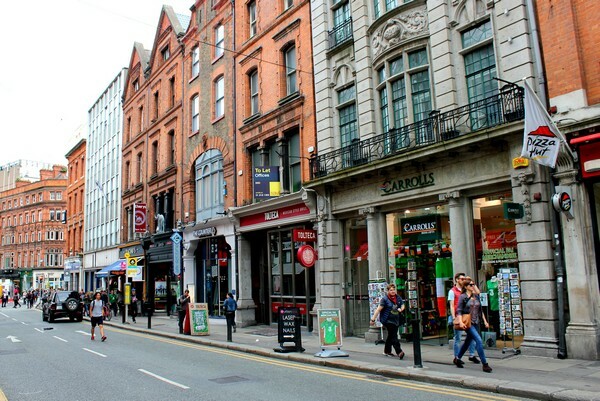 Bustling street in the Temple Bar district. 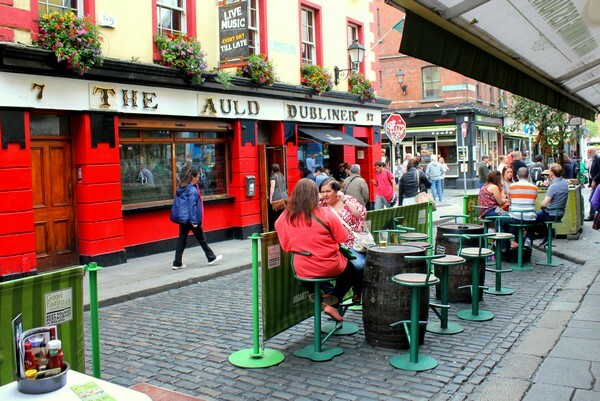 Patio culture on the cobblestone streets of the Temple Bar district. 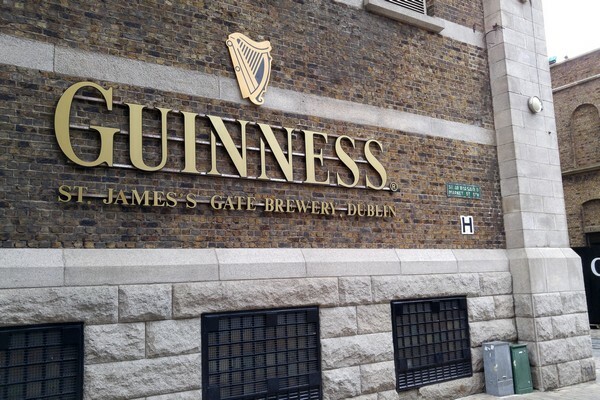 The Guinness Storehouse, a Guinness-themed attraction at St. James’s Gate Brewery. 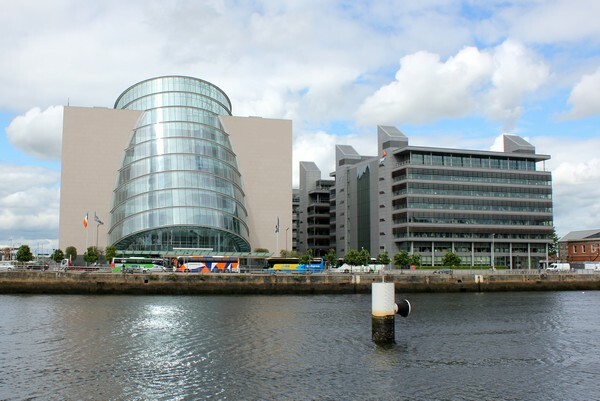 The Convention Centre in the Dublin Docklands. Retail buildings and street scene on College Green. 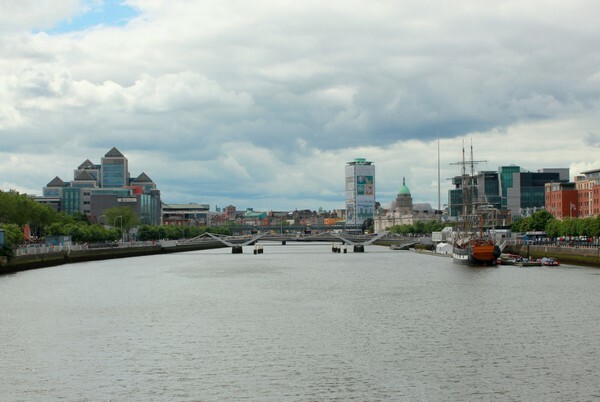 Views of the River Liffey. Captured from the Samuel Beckett Bridge. I love the bright colours and red brick buildings found in the downtown area. The medieval Christ Church Cathedral on Christchurch Place. 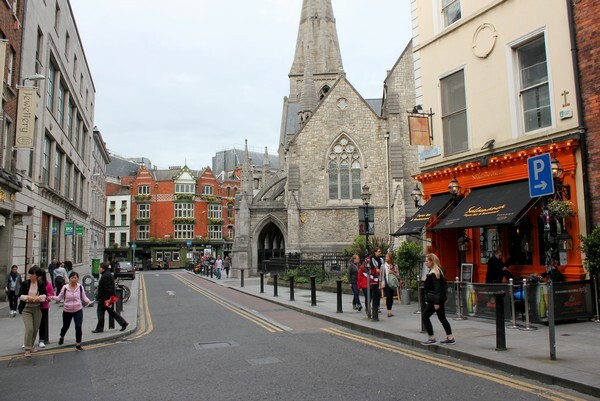 There are plenty of things to do in Dublin, but most of our time was spent wandering its lively streets. 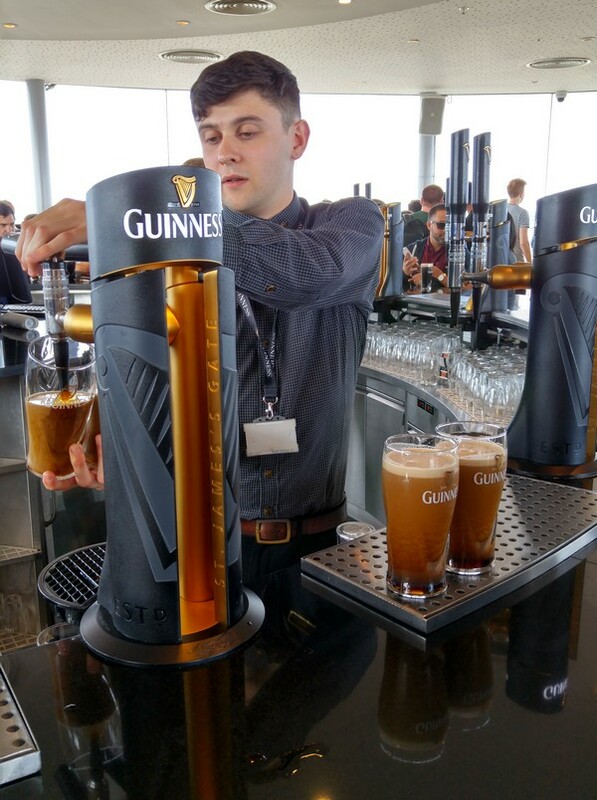 We spent one afternoon at the Guinness Storehouse, which is a must for every Dublin itinerary. 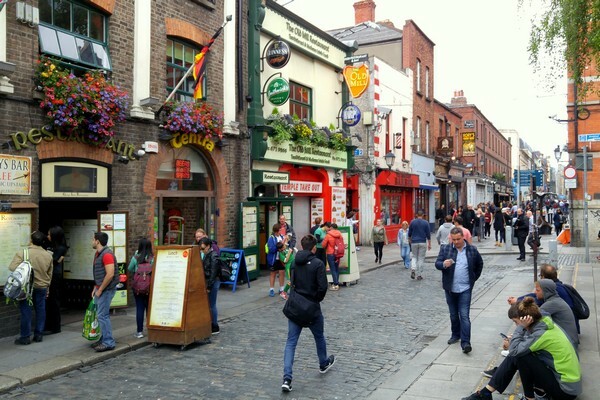 We spent the next afternoon exploring the cobblestone streets of the Temple Bar district on the south bank of the River Liffey. We had originally planned to visit the St. Stephen’s Green, Dublin Zoo and Phoenix Park, but the weather did not cooperate that day. In fact, the weather rarely cooperated during our time in Ireland, which is to be expected. There’s a reason why this island nation is always so lush and green! 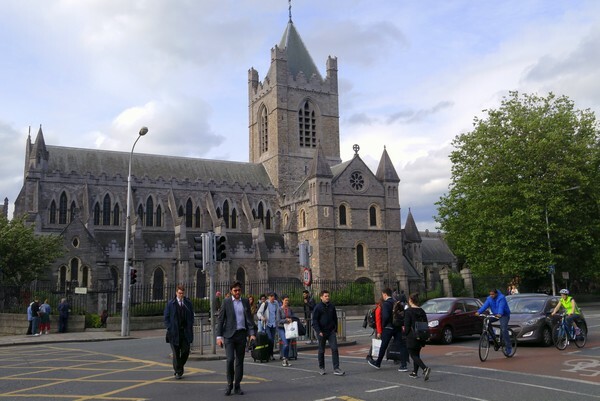 What a amazing place of Dublin, Ireland…..Nice photography & sharing pictures are beautiful. Ireland is famous for the friendliness of its people. I will plan my next family vacation to Ireland. Thanks for nice and wonderful post! These images looks really nice & beautiful. I like the building are modern and old. Wow. Amazing photography. Thank you for sharing with us all. The title is definitely correct: these pictures do want to make me want to visit 🙂 Love the colourful pub with all its flags. 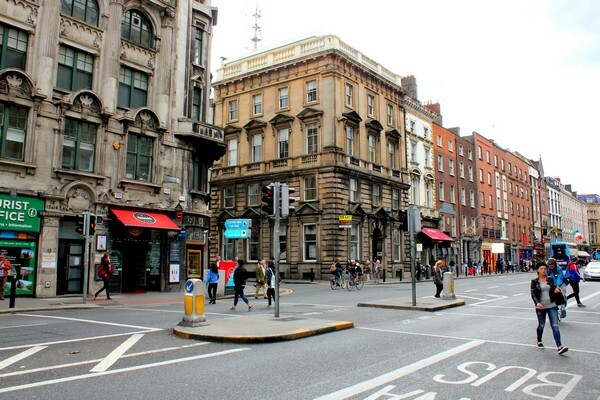 Dublin is such a wonderful tourist destination. The pics you are shared is really colorful and beautiful ,all the streets are awesome especially Bustling street.Thanks for sharing. We were in Ireland a few weeks after you. We flew in/out of Dublin, but did not spend any time there. Thank you for sharing. Thanks for sharing the beautiful pictures about Ireland.The colourful flags in the street with all the bright colors really stands out. I never thought that Ireland was a great tourist destination. I will plan a trip with my family sometime in the near future.